The Rays have recalled young outfielder Austin Meadows to the MLB roster, as Marc Topkin of the Tampa Bay Times reported. Also joining the club are righties Austin Pruitt and Chih-Wei Hu as well as southpaw Hoby Milner. Among these new additions to the active roster, the 23-year-old Meadows is the most interesting. That’s due not only to his top-prospect status and his recent acquisition — in a swap that also brought Tyler Glasnow and Shane Baz to Tampa Bay in exchange for Chris Archer — but also his strong offensive output this season. Before the swap, of course, Meadows had impressed in a 165-plate appearance debut in the majors. Though his success was predicated in no small part upon a .345 BABIP, it was hard not to like the .292/.327/.468 line (with five homers and four steals) he produced against major-league pitching. At the same time, though, Meadows had continued his less-than-stirring work at the highest level of the minors, so it was fair to wonder whether that was simply a mirage. The longtime top-100 prospect had hovered in the .700 OPS range in three attempts at Triple-A Indianapolis. Since arriving in the Rays organization, however, Meadows has thrived. It’s only a 26-game sample, but he laid waste to the International League pitching over 106 plate appearances, slashing .344/.396/.771 with ten home runs. Whether or not that showing ought to elevate expectations for Meadows is perhaps debatable, but it certainly increase the excitement of his promotion. Of course, he’s not likely to receive a long look just yet. But with Carlos Gomez set to hit the open market at season’s end, it’s possible that Meadows could be in the mix to crack the roster as part of the corner outfield rotation in 2019. As ever, service-time considerations must be noted as well. Meadows was on the Pittsburgh active roster for 59 days already and will now add another dozen to his tally. That means he could well top a full year of MLB service next season even if he’s held down to open the year. 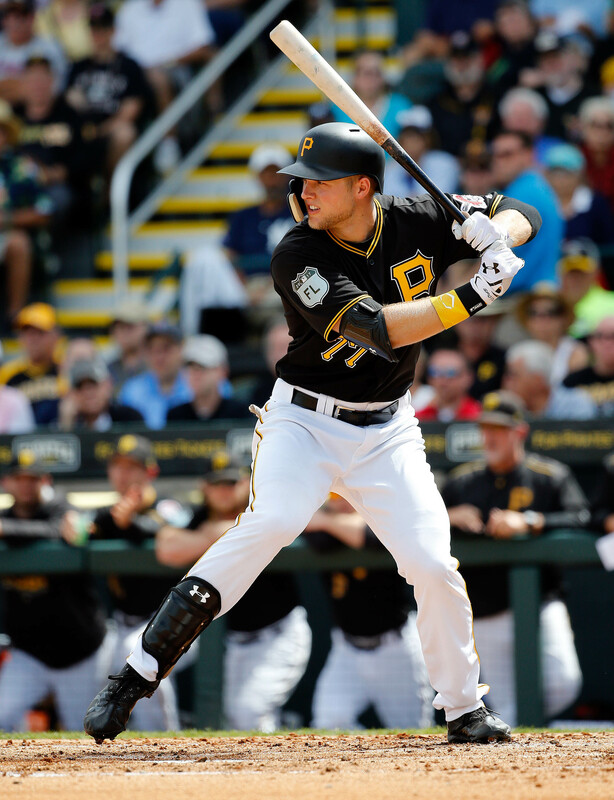 The Pirates announced yesterday that they’ve optioned outfielder Austin Meadows to Triple-A Indianapolis. Long one of the game’s top prospects, Meadows posted solid but unspectacular numbers in Indianapolis this season before breaking into the Majors on an otherworldly tear. Through his first 83 plate appearances, Meadows hit .346/.373/.654 with five homers, five doubles and two triples. But, he went on to slash just .247/.291/.288 in his next 79 PAs and had been largely relegated to a bench role when he was finally optioned. General manager Neal Huntington told reporters (link via MLB.com’s Adam Berry) that the move to send Meadows down to the minors “probably happened two or three days later than ideally it would have,” but the team wanted to preserve its outfield depth and flexibility with a doubleheader on Saturday this weekend. “It’s in his best interest and our best interest to continue to grow and develop,” said Huntington of Meadows, who seems certain to factor into the team’s plans at the big league level once again at some point this season. Francisco Cervelli hit the 7-day concussion DL for the fourth time in the past two seasons this past weekend, and there’s no indication as to when he’ll return just yet, writes Elizabeth Bloom of the Pittsburgh Post-Gazette. But while Cervelli recently worked out at first base and impressed manager Clint Hurdle with his instincts and athleticism there, the organization isn’t yet considering a move from behind the plate for Cervelli. Huntington stressed that, first and foremost, the immediate concern is getting Cervelli the best medical care he can as he battles through his current post-concussive symptoms. “There is concern that multiple concussions, where do we go long-term, but I’m not at that point where we need to or want to have those discussions just yet,” said Huntington. Cervelli, as Bloom notes, suggested earlier this season that he’d consider retirement if injuries ever forced him out from behind the plate. 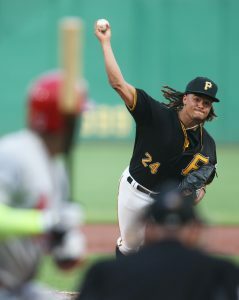 The Pirates’ 7-1 performance over the past week has put pressure on Huntington and the rest of the front office as the non-waiver trade deadline approaches, writes Tim Benz of the Pittsburgh Tribune-Review. Huntington spoke candidly last weekend when discussing the team’s situation, noting that with their record, the Pirates weren’t in position where a run of .500 ball would change their outlook. A sweep of the Brewers and a move to within five and a half games of a Wild Card spot, however, could at least move the Bucs from a definite seller to a team in “wait and see” mode as the deadline draws nearer. Huntington acknowledged as much, stating that the Pirates “need to do more” despite an excellent week of play. Indeed, the Pirates are still just 48-49 and nine games back in the NL Central, but their recent winning streak at least has the potential to alter their deadline approach. May 18: The Pirates have announced Meadows’ promotion and Marte’s placement on the DL. May 17: The Pirates announced tonight that they’re planning to promote top outfield prospect Austin Meadows tomorrow. Rob Biertempfel of The Athletic first reported that the Bucs were planning to call up the long time top prospect. Biertempfel adds that he’ll be stepping into the roster spot of Starling Marte, who’ll land on the disabled list with a right oblique strain. Meadows, 23, has long rated as one of the game’s most promising outfield prospects. 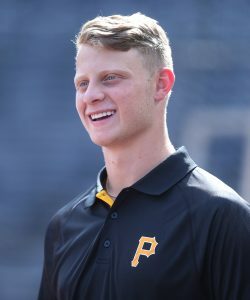 The ninth overall pick in 2013, Meadows entered the season ranked among the game’s top 50 prospects, per Baseball America (44), MLB.com (45), Fangraphs (47), Baseball Prospectus (34). After a down season at the Triple-A level in 2017, Meadows is hitting .281/.326/.380 with a homer and eight steals (in nine attempts). He’s struck out in just 20 of his 131 plate appearances but also drawn just seven walks. The promotion will give the Pirates their first regular-season look at Meadows against Major League pitching. Hamstring injuries throughout his minor league tenure likely delayed Meadows’ timeline, and while he still has yet to truly overpower Triple-A pitching as he did at the Double-A level, there’s plenty of reason for optimism regarding his bat. Scouting reports on Meadows credit him for having an above-average to plus hit tool with average power and plus speed. Those wheels serve him well defensively, also, as he’s capable of playing center field, though more recent scouting reports on him forecast a potential move to left field when all is said and done. It’s possible that this is merely a short-term promotion for Meadows, but oblique injuries tend to keep players on the disabled list for around a month, so he may also get a reasonably prolonged look in the outfield with Marte on the shelf. With Andrew McCutchen now in San Francisco and Corey Dickerson only controlled through 2019, Meadows will be fighting to show the Pirates that he deserves the long-term spot in the outfield that the organization has long hoped he’d eventually claim. For the time being, it seems likely that Meadows will man center field, with Dickerson and Gregory Polanco flanking him in the outfield corners. As for Marte, his loss shouldn’t be undersold. Though the 29-year-old disappointed fans and the organization alike in 2017 when he was slapped with an 80-game suspension following a failed PED test, he’s bounced back extraordinarily well in 2018, hitting at a career-best .308/.366/.503 pace with six homers, five doubles and an NL-best four triples — all while racking up 10 steals in 13 tries and walking at a career-high 8.6 percent clip. That’s quite a lot of production to subtract from the lineup and leaves Meadows with some sizable shoes to fill, though if he can simply hold his own at the plate in his first exposure to MLB pitching and play capable defense in center field, the Pirates will surely be pleased with that outcome. While the Mariners bolstered their lineup Sunday in picking up Alonso, their bullpen may have taken a sizable step backward. Reliever David Phelps, whom the M’s acquired in July from the Marlins, left the first game of Seattle’s doubleheader against the Royals on Sunday with right elbow discomfort. That’s “never a good thing,” notes the Seattle Times’ Ryan Divish, who relays that Phelps’ fastball velocity was noticeably down during his shortened, seven-pitch frame. The Mariners are now left to hope for positive news regarding Phelps, who has been lights-out since joining his new club. Phelps has pitched seven innings of six-hit, two-run ball and posted an 11:1 K:BB ratio as a Mariner. The Pirates made a noteworthy trade of their own this weekend when they reacquired utilityman Sean Rodriguez from the Braves on Saturday. Rodriguez will provide further infield insurance in the event Jung Ho Kang never returns to the United States, writes Adam Berry of MLB.com. Kang has been stuck in South Korea and unable to get a visa since he was arrested and charged with his third DUI over the winter. GM Neal Huntington admitted last month that Kang probably won’t return this year. He took a more drastic step Sunday, saying: “That’s been an unfortunate reality from the outset that he may never get a visa again. We worked the process, worked the process again and have not gotten a different result. We’ll attack it in different ways again the next time through and hope there is a different outcome. We do need to begin to prepare as if he’s not coming back.” Because Kang’s on the restricted list, he hasn’t collected any of his $2.75MM salary for this season. He’s under Pirates control through 2019. The Mets will promote first base prospect Dominic Smith this month, GM Sandy Alderson implied to Anthony DiComo of MLB.com and other reporters. It just hasn’t happened yet because of the Mets’ logjam of veteran infielders, including the first base platoon of Jay Bruce and Wilmer Flores. Bruce is an obvious trade candidate, but even if the Mets are unable to find a taker for the soon-to-be free agent this month, Smith will come up soon and start garnering experience at first. “At some point, we’ll just do it,” Alderson said. “There are player transactions that do take place in the month of August. Often, though, that doesn’t happen until the end of August. But I think at some point, if necessary, we’ll just make the playing time available.” The 22-year-old Smith, Baseball America’s 50th-ranked prospect, has slashed .332/.389/.524 in 486 plate appearances with Triple-A Las Vegas this season. Those numbers have come in an extremely hitter-friendly setting, though Smith’s line is still 34 percent better than Pacific Coast League average, per wRC+. Back to the Pirates, who have a highly touted outfield prospect in Austin Meadows, BA’s 22nd-ranked farmhand. Huntington indicated Sunday (via Berry) that Meadows won’t receive a major league promotion this season, thanks to a strained right hamstring. Meadows hasn’t played a Triple-A game since June 21 and is currently rehabbing at the rookie level. Given the time that he has missed, the Bucs have talked to Meadows’ representatives about having him play winter ball.